Nike's Air Max 97 to be Available in "Spruce Aura"
With a touch of suede. Another Nike Air Max 97 colorway has emerged. Recently, we shared the same model sporting a barcode outsole. Today, the silhouette takes a simpler route with a mix of black, white and light grey. 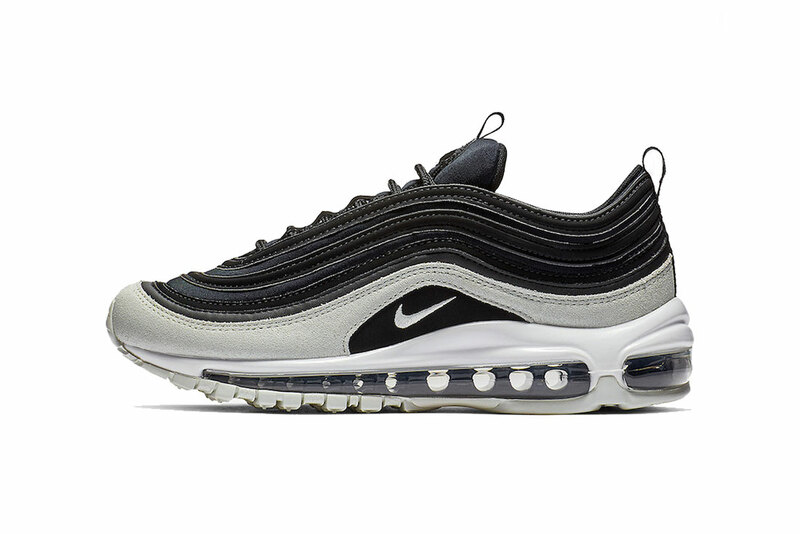 Dubbed “Spruce Aura,” the design’s cushioning is found in the black full-length Air Max unit sandwiched between a light grey outsole and white midsole. Moving towards the upper, you’ll find the same shade of grey in suede just above the midsole. The rest is delivered in black down to its laces, tongue and pull tabs. Finally, mini Swoosh logos finish off the “Spruce Aura” iteration on the tongues plus its lateral and medial sides. The Nike Air Max 97 “Spruce Aura” retails for $160 USD and is expected to arrive at select Nike Sportswear retailers and Nike.com soon. Swoosh followers can also take a look at an unreleased ACRONYM® x Nike Air Presto Mid revealed by Errolson Hugh. Italian made and dipped in pink.